It’s three weeks until the big day and for many of us, it seems like it we were just celebrating the 4th of July. There’s the menu, décor, guest list, and of course, all that baking and cooking. 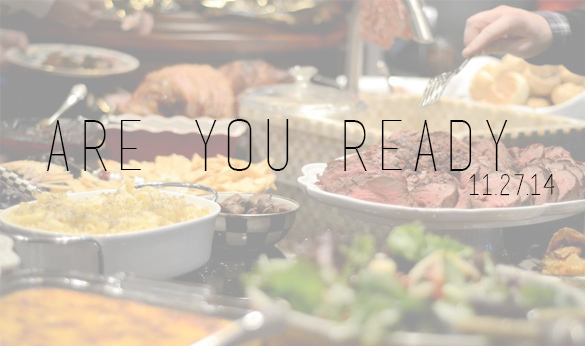 To help you get prepared, we have put together your kitchen equipment and supply checklist. Just print this out and give your kitchen a once over for everything you’ll need to execute a perfect culinary feast. Don’t wait until the last minute to shop for the necessities. Get started now and you’ll be well equipped by the middle of next week for the rapidly approaching holidays. 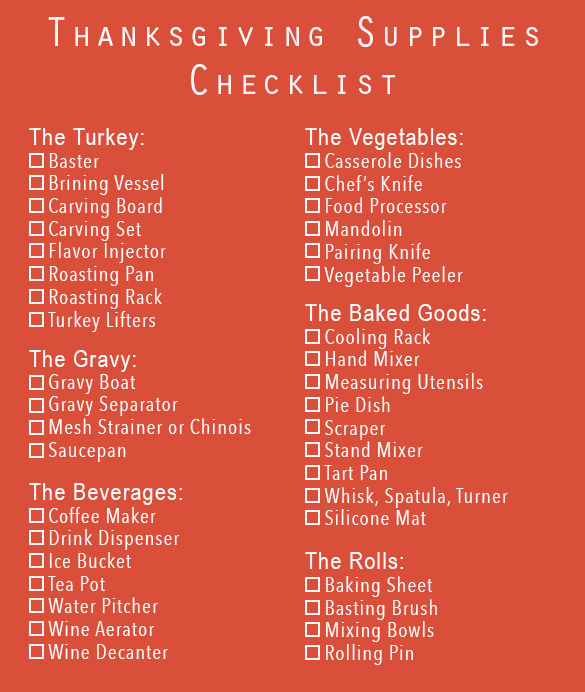 Have questions about the gadgets and supplies on the Thanksgiving Supplies Checklist? Give us a call at 800.541.8683 and we’ll happily walk you through everything from sizing your turkey-roasting pan to selecting the perfect baking sheet.